It has been a busy summer and now the academic year is upon us again, so buckle up. Back in late July I posted some information about recent publications and current projects (here). Other than that, most of the summer I have simply been re-blogging information about my forthcoming Septuaginta: A Reader’s Edition, co-edited with Gregory R. Lanier and published with Hendrickson. It will be available in November (yes, they will have it in stock in Denver) and we’ve set up a website specifically for sharing information about it (here). Although it’s taken a little bit longer than I anticipated to be able to share some other significant developments that I hinted at in July, I’m finally able to do that now. Side Note: If you don’t really care about my personal developments and just like stuff about Septuagint, I get it. No feelings hurt. 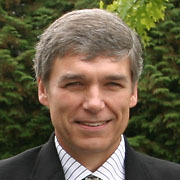 But you’ll have to wait a few more weeks before my next Septuagint scholar interview, this time with the inestimable John A. L. Lee. If you can’t wait that long then consider reading this piece I wrote for Credo Magazine. 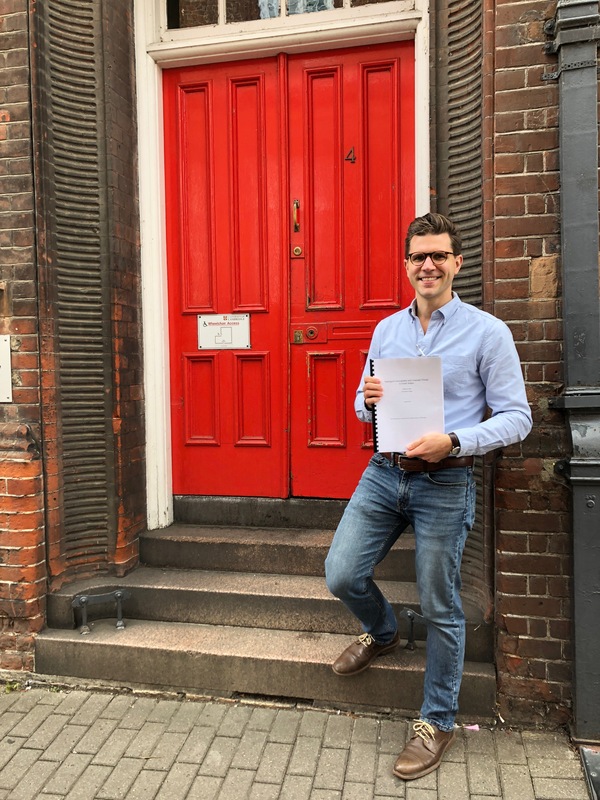 It has already been a few weeks since this occurred, but on August 24th I submitted my dissertation at the University of Cambridge. When that happened, I took the obligatory picture (right) in front of the red door of the Student Registry where everyone turns in their dissertation. It’s actually a pretty anticlimactic moment, since you just hand it over to some person behind the desk who you’ve never even seen before, sign a form, and walk away. It takes about three minutes. But you walk away free. Sort of. At least, you walk away with your fate sealed. I am waiting to hear from the Powers That Be about the date of my viva, which is the oral examination of my work that is actually the true test of whether I “pass” or not, and if so, how much or how little correction is necessary. I don’t have a date yet, but it will definitely happen before Christmas. There’s a ton more I could say about my time at Cambridge. Thankfully, there is a place to do that, and that is your Acknowledgements in the dissertation. So I have included that section in this post, which you can read below. 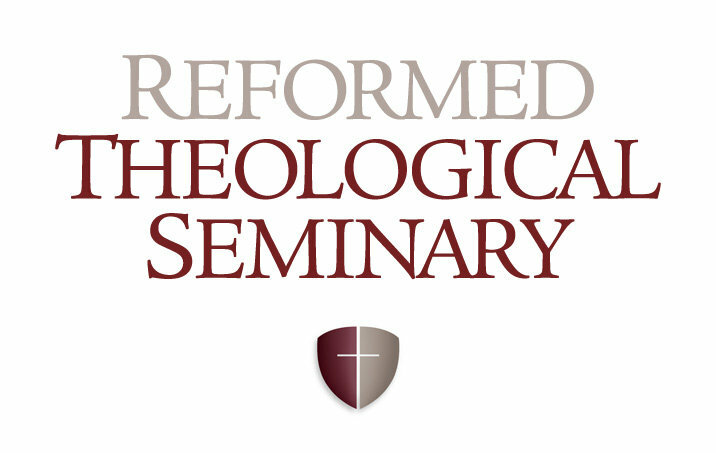 I am also thrilled to share that I have been appointed as an assistant professor of Old Testament at Reformed Theological Seminary in Charlotte, North Carolina. This appointment has been in the works for a pretty long time. Over a year, actually. But the long process was well worth it in my opinion. RTS is a multi-campus institution begun just over fifty years ago to serve all branches of evangelical Christianity, especially the Presbyterian and Reformed family. 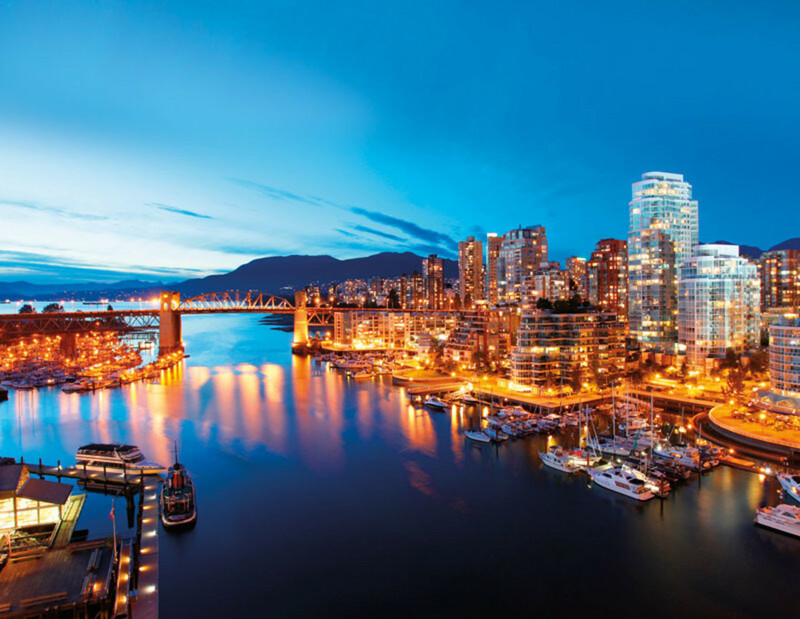 As an organization, it is firmly rooted in a commitment to the Westminster Standards and focuses on preparing pastors, missionaries, educators, counselors, and others for leadership and service in the Church. I am honored to have the opportunity to join an excellent faculty in Charlotte to help train and equip others in this way. My position begins in January 2019, when I’ll be thrown into teaching an intensive intermediate Hebrew class. My primary responsibility will be courses in the Pentateuch and Historical books, but also includes the Hebrew curriculum and upper-level Greek courses as well. I should also have an opportunity to teach electives in due time, and I’ll give you one guess for what the topic will be for my first one. You can read the official RTS announcement here. Somewhere between moving away from Cambridge and arriving in Charlotte, I’ll be showing up for the annual biblical studies conferences in Denver this November. There I will be doing something I’ve never tried before: co-presenting. Twice, in fact. First, I will be part of this year’s Septuagint Studies consultation session at ETS (details here), and will be discussing with my co-editor, Greg Lanier, the more practical aspects of how we went about producing the Reader’s Edition of the Septuagint. Second, we will also co-present at one of the IOSCS meetings at SBL, where we’ll be discussing some more technical and research-oriented aspects of the same thing based on the data we collected along the way. Should be a good time. That is why I always relish the opportunity to actually see some physical stuff in a library somewhere. I have posted a few times in the recent past about a few visits I’ve made to the University of Cambridge library, where I took some time to view some of the correspondence of revered Septuagint scholar H. B. Swete (e.g. here and here. NB I hope to post more from the troves of what I found there in due course).